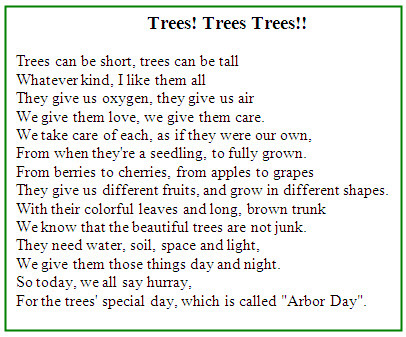 Ten year-old Michelle Poreh, who studies at the “Aventura City of Excellence School” (ACES), in Aventura, Florida, recently won a poetry contest sponsored by the city of Aventura in honor of Arbor Day, together with two other schoolchildren. Michelle read her poem, “Trees! Trees! 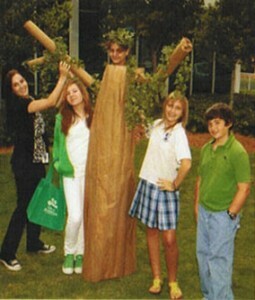 Trees!” at a special Arbor Day ceremony in Aventura on Tuesday, May 17, in the presence of the mayor, Ms. Susan Gottleib, city commissioners, the city clerk, the city manager and local residents. After the ceremony, which also included a ceremonial tree planting, Mayor Gottlieb approached Michelle, hugged her, and told her how impressed she was by her poem. Naturally, Michelle’s poem was all about trees, and in honor of her winning the contest, her grandparents, Professor Michael and Shosh Poreh of Haifa, were inspired to plant a number of trees in her name in KKL-JNF forests in Israel. In this manner, a bond was created between tree lovers in the United States and Israel, and when Michelle comes to Israel to visit her grandparents, she will also visit her trees. Michelle also received a special certificate from KKL-JNF attesting to the trees planted by Shosh and Michael Poreh in honor of “their sweet granddaughter”.